How does this effect my conversation about people quitting because it’s only at launch. Here’s a hint. It doesn’t. So answer my question. Do you understand that what you’re talking about is completely irrelevant to my conversation. yeah and I recognize it as such, and you’re here actually thinking you’ll get anything done asking for blizzard to provide what you asked them provide. Adult conversation with a hypothetical vs. guy thinking he will get a major corporation to clarify on an extremely controversial topic because he asked for it in a forums post. Which one is really playing make believe here. When did I ever say that Blizzard would set limits because I asked them to do so? I never did. In fact, I’ve tried to make it clear that I do NOT expect them to EVER set definitive limits. I fully expect that they will continue being intentionally vague about limits while carefully choosing words that make it seem that they are setting limits even though they are NOT. I believe that sharding will raise its ugly head beyond those " starting areas" or that “brief time at launch”–probably WELL BEYOND those “implied limits”. The problem is that we weren’t supposed to have sharding AT ALL. How is this a part of my original conversation. Now that we’ve had this thread, when they do announce temporary sharding, can we all just quote back our comments here and not say more than 10 characters on the actual freak out threads. What did Josh Allen say about sharding? I don’t think I have that link stored. Here we have yet ANOTHER comprehension problem. Let’s take a look back at what I actually said. guy thinking he will get a major corporation to clarify on an extremely controversial topic because he asked for it in a forums post. I never said you think you will make them set limits. I can’t really say I’m surprised too much by you Fesz it’s sort of how you roll. I will also be asking Blizzard to set those definitive, unequivocal, hard and fast, clear and precise geographical and time limits for sharding and let us know those limits are. And you still think I’m the only one playing make believe. Dude you are easier than a lot lizard. Im at work and have no links. As you’ve noticed, the Classic Demo does have realm sharding. This is to let as many people as possible experience it without technical issues such as server capacity or spawn density getting in the way. We’re still looking at how we can best deliver an authentic Classic experience at launch, and in the weeks and months that follow - both in terms of gameplay and community. You won’t see phasing (which is tied to specific quests that don’t exist in Classic) or cross-realm zones (which combine multiple realms together) in Classic. However, realm sharding is one of the best tools we have to keep realms stable when hundreds of players are swarming the same initial few zones and killing the same few mobs (like they will be at the launch of Classic). To that end, we do believe that some form of sharding may be helpful, especially in those early days. But we recognize that a cohesive world is critical to WoW Classic and are committed to bringing that to you. So you understand now that this wasn’t my conversation that I was having? I’m sorry man but if I continue to reply to you, I am going to get banned. I think you may need to go back to school or maybe watch an educational youtube video or something. Found it. I had not seen a direct comment about it from him in any threads. You won’t see phasing (which is tied to specific quests that don’t exist in Classic) or cross-realm zones (which combine multiple realms together) in Classic. That ensures that people saying phasing is next are wrong. “Won’t” is not “we’re thinking about it”. To that end, we do believe that some form of sharding may be helpful, especially in those early days. 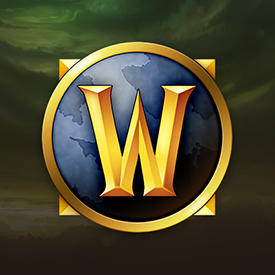 But we recognize that a cohesive world is critical to WoW Classic and are committed to bringing that to you. This continues to give me confidence that they understand our concerns in a way that ensures they will deliver a quality product without sacrificing the community. Ion - few weeks. Max level 10 listed zones. Lore - few days. Mentioned first few zones. I’m sorry not everyones as accepting of blizzards word as you are, especially considering two different people have given us two different answers. Not only that but they didn’t give us solid answers either. And frankly they already moved the goal posts once (original goal = no sharding period). All things considered I’d say people have reason to be extremely wary of sharding in classic wow. you’re here actually thinking you’ll get anything done asking for blizzard to provide what you asked them provide. Not expecting Blizzard to set limits does not preclude asking Blizzard to set those limits. Some people are the type of person that will not even try if they think they might not get the result that they want. I am not that type of person. IMO, Blizzard refusing to set definitive limits on the use of sharding despite repeated requests for those limits to be clearly defined is an indication that they do not plan to limit sharding. This doesn’t say “deceptive” to me. It says “No final decision in November”. Lore and Ion aren’t exactly strangers to each other and are probably both well aware of the internal discussion. That said the timing of ending it should be “As soon as it is no longer needed” which is hard to prognosticate without resubs showing after the release announcement is made. We all have different ideas on how many people will turn up in the first week or the first month. I almost regret making this thread now. Okay but they have had 6 months now to come out with more answers. Other details regarding launch day/week. And they haven’t given it to us because they’re still not firm on the release date. I’d fully expect it that way to give the Good with the Bad concept of telling us when while telling us how the sharding will work. Softens the blow etc.